Hassan Pakravan, a man of dignity, compatriot, author, philosopher, Army officer, ambassador to Pakistan and France. Last job Press Attaché of Imperial family. He was a true "human". He never lied to his people, he was a true loyal. Late General Hassan Pakravan, Hassan Pakravan, son of Fathollah and Emineh, was born in Tehran on 4 August 1911 (13 Mordad 1290). His father held many high government posts, including governor of Khoraasaan and ambassador to Italy. His mother, partly of European descent, was a professor at the University of Tehran. She was awarded the prestigious French Prix Rivarol, which the French government gives to foreign authors who write directly in French. friend Late general Nematollah Nassiri in 1965. Pakravan was named Minister of Information, then Ambassador, first to Pakistan and then France. 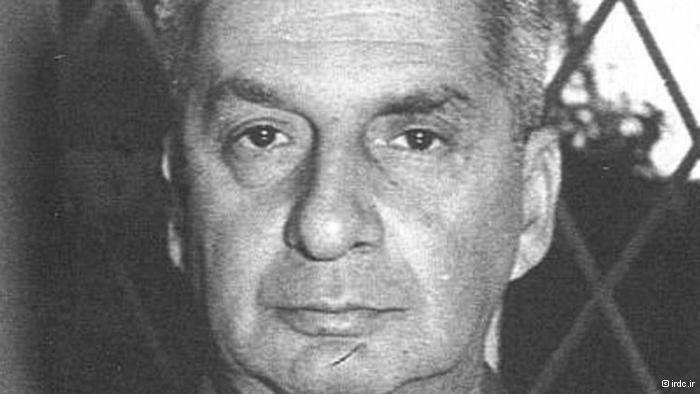 He returned to Iran in 1974 he was brought out of retirement in 1978 by the Shah in an effort to bring transparency and accountability to the Royal Court. 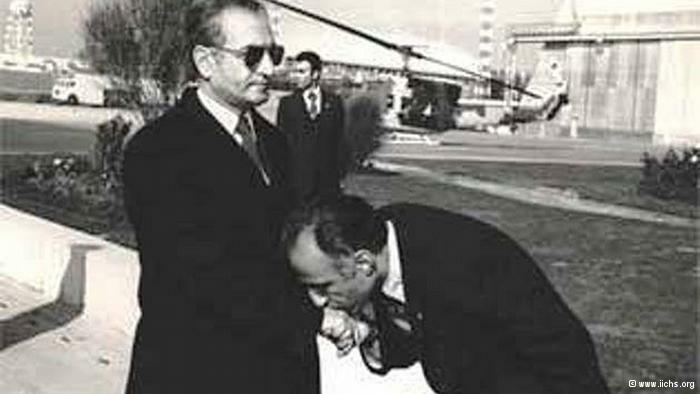 Pakravan was a close friend of Prime Minister Amir Abbaas Hoveyda. Both were fluent in French and enjoyed reading French literature. 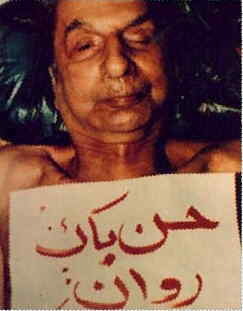 Like many Pakravan and Hoveyda were brutally killed for serving their king and country. General Hassan Pakravan was a true Officer and a Gentleman! He was a well educated officer who had a true humanitarian sense. During his watch at SAVAK, the first Khomeni uprising occurred. Khomeni was arrested. Because he was revolting against nation's national security, in accord of law following a fair trial he was to be executed. It was this fine gentle hearted officer who saved Khomeni's life by pleading his life with the late Shah another soft heart. He spent hours of hours in prison, sometimes taking food for Khomeini talking to him out of revenge that Khomeini was determined to take against country's security. Khomeini did not want to change. With help of General Pakravan Khomeini has been given Ayatollah rank, exiled him to Turkey, then he moved to Iraq. General Pakravan's good deed did not get unnoticed! That is why we say, the only good fanatic is a dead fanatic! How many people would have been saved if SAVAK was only as everyone claimed it was! His good name will live in free Iran again! تيمسار سرلشگر (ژنرال) حسن پاکروان يک افسر نمونه بود و يک انسان به تمام معنا. او از يکی از آکادمی های نظامی فرانسه (سن سير) فارغ التحصيل شده بود. او بسيار علم آموخته و يک بشر دوست به تمام معنی بود. برای مدت بسيار کوتاهی در راس ساواک قرار داشت. بر اثر تلاش اين مرد بود که جان خمينی حفظ شدو شاه مهربان درخواست مرد پاکدل و پاکروان ديگری را برای بخشش پذيرفت. پاکروان ساعت ها در زندان با خمينی به صحبت نشست بلکه او را از کينه و عداوتی که نسبت به امنيت ملی ايران داشت منصرف کند. ولی خمينی به راه نيامد. با پيشنهاد پاکروان خمينی به مقام آيت اللهی ارتقاء يافت و به ترکيه تبعيد شد بعد به عراق رفت. ولی هرگز پاکدلی و مهر تيمسار پاکروان در نظر ها ديده نشد. او از جمله افرادی بود که خمينی دستور اعدامش را داده بود! او وقتی در صندلی چرخدار به جوخه اعدام آورده شد 80 سال داشت. به همين دليل میگويند؛ يک متعصب مذهبی وقتی خوب است که مرده باشد! اگر اين ساواکی است که بعضی ها ادعا می کنند چند نفر می توانستند از مرگ نجات پيدا کنند! نام نيک اين مرد هرگز از تاريخ و خاطره ها پاک نخواهد شد. 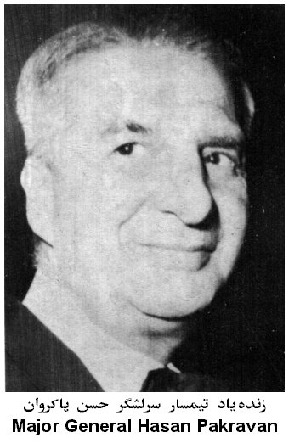 Dr. Kianpour, who was executed in May 1979 was the former Governor General of Isfahan Province, later Minister of Information and Tourism and became Minister of Justice in the cabinet of Amouzegar. 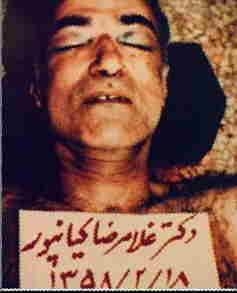 He was a brave man and one of the best civil servants before the revolution. غلامرضا کیانپور، فرماندار استان اصفهان و سپس وزیر اطلاعات و جهانگردی و دادگستری در کابینه آقای اميرعباس هویدا و جمشید آموزگار در دوران سلطنت محمدرضا شاه پهلوی بود. وی در ۱۸ شهریور ۱۳۵۸ در زندان قصر با حکم صادق خلخالی اعدام شد.